Holy Week began when Jesus Christ rode triumphantly into Jerusalem as the people shouted “Blessed is He who comes in the name of the Lord!” Much to the frustration of His followers, Jesus had no intention of becoming a militant king who would rescue them from the hands of the oppressive Roman Empire. Instead, Jesus had a much greater calling as He would fulfill the role of Messiah, Savior to the entire world. Jesus was on a mission to pay the penalty for the sins of all mankind. Betrayed by one of His own disciples on Thursday evening, Jesus willingly appeared before High Priest Caiaphus and Roman Governor Pilate to receive the undue sentence of death. It was on Friday that Jesus was accused, tried, sentenced, beaten and crucified for the sins of the world. This day is know as Good Friday! 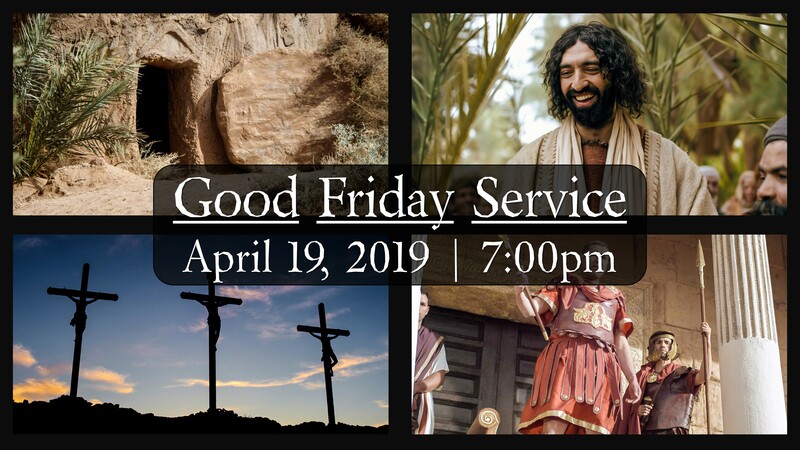 Led by the Roswell Street Choir, Orchestra, Children’s Church Kids and Community Guests, the annual Good Friday Service will remember the events of Holy Week culminating with Jesus’ death on a cross. Join us as we remember!